Alex killed his first deer today. He was out on his deer stand for a couple of hours and didn't see anything. Came home, drove up to the garage and there were a couple of deer beside the garage. He got out of the Jeep, when around the other side of the garage and shot this one. 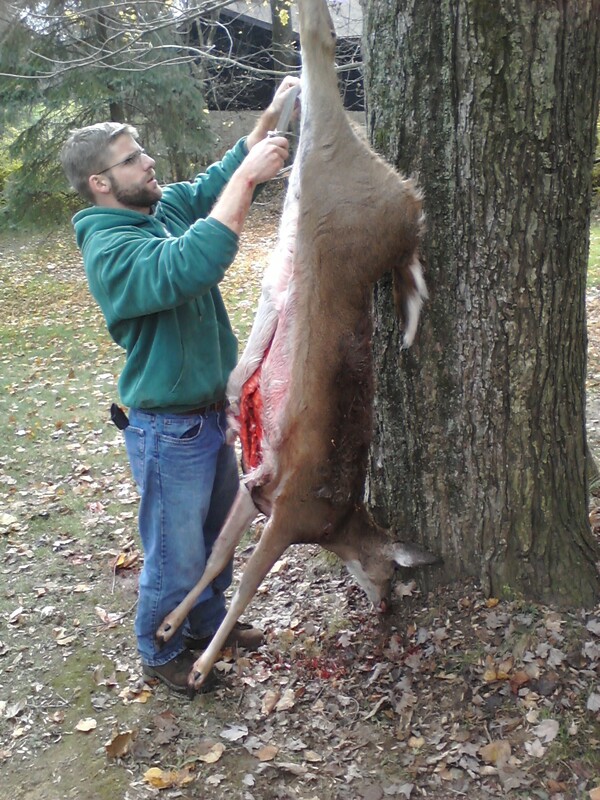 He skinned it in the tree next to the garage, hung it in the garage and had a guy come and butcher it in the garage. We've had several meals from it - steaks, burgers, stew, and chili. All very good eating.